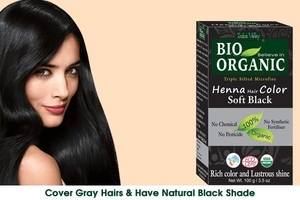 Bio organic henna is available in various shades and is suitable for even hypoallergenic people. Colors the hair and provides natural shine to them. Prepared by triple sifted process. 100% natural in nature. People with any type of scalp condition can use this.